On a night out recently, a friend and I were discussing our favourite bands, and we had to pick exactly one. He soon came up with one condition, since he knew exactly what my answer would otherwise be: I had to pick a band that has released music within the last five years, quickly ruling out any chance I had of picking Tool (though let’s hope 2019 is finally the year that changes). But it wasn’t actually that hard to pick when I really thought about it, as I already knew how much my love for this one particular band had increased since the release of their previous album. That album is the 2013 magnum opus ”Pelagial”, which is one of the very best progressive metal releases of all time, if you ask me. Not only did The Ocean succeed in creating a record close to perfect in my eyes (or ears, rather), the consistency throughout their career has been nothing short of baffling, never once releasing even a slightly average album across the six releases they now have. So when the band finally revealed that they were returning with more music, by way of a musical and conceptual sequel to their now 10-year old legendary record ”Precambrian” even, my hype levels could not be contained. “Phanerozoic” is the scientific and difficult to remember title of the next Ocean chapter, split into two pieces, with the latter half set to arrive sometime in 2020. Luckily, the first half is finally here though, and “Palaeozoic” starts where “Precambrian” left off: right at the ancient evolutionary event known as the Cambrian explosion, and one of the most important events for the rise of life on earth. 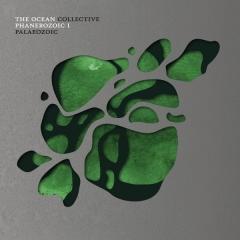 “Palaeozoic” thus covers the events of almost 300 million years of ancient natural history that took place some 541 million years ago — once again an impressive and, to an extent, quite ridiculous undertaking from this band. But let me tell you right now: The Ocean has done it again. The ominous piano riff of “Cryogenian”, the final song from “Precambrian”, returns in a different key on the opening track here, “The Cambrian Explosion”, fusing the two albums together with its warping, foreboding synths and rumbling bass notes, before exploding into “Cambrian II: Eternal Recurrence”. The heavy, melancholic post-metal riffs the Ocean are renowned for are back in full force, backed by an absolutely phenomenal sound production — crystal clear and with lots of focus on the lower register of sound to really give it that monolithic style the riffs demand. Like crashing waves of sound, the track evolves into cataclysmic dissonance and blastbeats, turning up the tempo with more grinding synths added to further supplement the chaos. Frontman Loïc Rossetti’s vocals have never sounded better, ranging from powerful post-metal roars to intricate clean melodies, and it is clear to me that he is yet to reach his full potential, seeing the transformation he has undergone already. Anthemic choirs yelling ”Start over again!”, referring to the cyclical nature of Earth in which us humans are but mere specks of dust, finish off this masterpiece of an album-opener, reassuring me of the Berlin-based group’s dominant position in the progressive post-metal sphere with only a single track. “Ordovicium: The Glaciation of Gondwana” sees the Ocean taking a slightly more approachable route in terms of song structure and riffs, with a song that could almost be called simple when you take their previous material into account. It is a much more groove-focused song, with continuous off-beat yelling from Rossetti and a pretty clear verse-chorus-verse structure clocking in at just under 5 minutes. That’s not a bad thing at all, mind you — it actually serves as a little breather compared to the rest of the songs’ complex nature and 8+ minute runtimes, and will surely incite a lot of heads to bang in a live setting. But the breathing room is soon over as we enter the Silurian age, another geological period that was characterized by the melting of large glaciations, causing the sea levels to rise considerably. And this is an important moment, as “Silurian: Age of Sea Scorpions” is one of the cardinal points on the record where the music and concept perfectly match, with the inclusion of twinkling pianos and emotional cello soliloquies in between the crushing displays of hammering drums and seismic riffs making a prominent nod to the musical expression of the aforementioned, ocean-themed “Pelagial”. It is these strokes of genius and clearly thought-out connections in the universe the Ocean have created for themselves that elevate the music on “Palaeozoic” to a whole new level, inviting the listener to explore what all of those crazy-looking titles actually mean, only to find out that they aren’t just randomly put together in order for the band to sound profound. 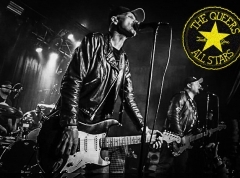 They hold a strong connection to the music both lyrically and instrumentally, and it never ceases to amaze me time and time again. “Devonian: Nascent” continues the brilliance in moody fashion, and who better at making things moody than the one and only Jonas Renkse from Katatonia? Through his cameo, Renkse sounds like he would be a perfect permanent part of the band with his silky smooth, depressive vocals on top of the ethereal layers of guitars. The verses here also really highlight what an underrated drummer Paul Seidel really is; he dynamically switches between bludgeoning the drums to death and laying down delicate hi-hat grooves, knowing when to go full-force and when to soften up. However, the truly chilling moment comes when Rossetti’s vocals are added to the mix towards the end, in what is unquestionably his best vocal delivery to date. The powerful pitched screams from the ether behind Renkse just sound absolutely fantastic, and it all reaches boiling point with a nigh 20-second roar of epic proportions to the sound of the world crumbling, signalling the end of the Devonian period, which in turn resulted in 70% of all species becoming extinct. Unfortunately, “Palaeozoic” does have one track that underwhelms me slightly in “The Carboniferous Rainforest Collapse”. Luckily it only occupies 3 minutes of a 47 minute album, and I understand that the track should mostly be seen as an instrumental interlude before the album’s finisher. But the soundscapes just don’t really seem to go anywhere for me, apart from divulging some admittedly cool drum patterns. I can’t really detract much for this small misstep though, when the quality of the rest of the record is so astoundingly high, as cemented by the monstrous last track, “Permian: The Great Dying”. The sounds at play here are much more desolate than on the previous offerings, with desertlike atmospheres conveying imagery of the Permian period, when water was scarce and the land dry. The lyrics reach poetic, apocalyptic levels in this crushing finale, with lines like ”I don’t love humanity. Not a bit. But I do value empathy, while retaliating iniquities” and ”When you realised that I’d kill to relieve a load. Yes, I’d kill to relieve a burden”, which could be interpreted as the Earth itself speaking to its inhabitants, warning them that if they do not stop placing such a burden on and continuing to destroy their home planet, it could easily wipe them out in an instant, just like it has done countless times before in the periods described in the other tracks. It’s a poignant, sludgy album-closer in pure post-metal style along the lines of Neurosis and Isis, culminating in increasingly distorted audio before cutting to complete silence in an instant. The Great Dying of the world is over, everything is silent. The Ocean just keeps on producing intelligent, forward-thinking metal, and “Phanerozoic I: Palaeozoic” is another testimony to the pure genius of this band. While I think that I overall still prefer “Pelagial” as an album, this piece of art does come damn close. However, I have a feeling that the arrival of the second part of this double album could merge it all together to create something entirely otherworldly. Time will tell, but the wait has already become unbearable after finishing this record the first time. 2020 cannot come fast enough then, but in the meantime — seriously — check out this record if you’re a fan of challenging music that never loses itself in pretentious wankery. If you hadn’t already guessed from my lengthy ramblings in this review: this is the album of the year for me.